You’ve got all the pieces- your invitations, your response cards and envelopes, accommodation cards- and now you need to stuff your envelopes! We always enclose a sample invitation fully assembled with your order. You can use that and these steps below as a guide when you are getting ready to send out your wedding suites. Enclosures (response cards and envelopes, accommodation cards, etc.) are placed on top of the invitation with the largest on the bottom and the smallest on the top. 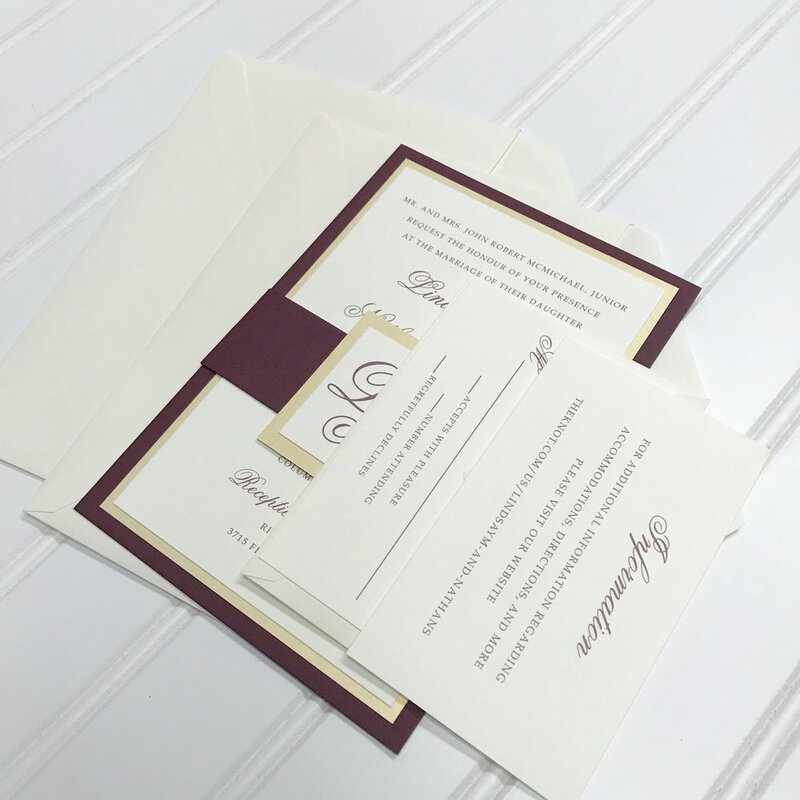 If you’re using Outer and Inner envelopes put the invitations, with enclosures, into the inner envelope with the printing facing the flap. The inner envelope is unsealed and inserted into the outer envelope so the guest’s name is the first thing seen as the outer envelope is opened. For single envelopes put the invitation, with enclosures, into the envelope with printing facing the flap.